Easy way to scale push ups! Today’s Rowing WOD is Cindy like with rowing instead of air squats. Since there are three minutes rest between each 5min AMRAP this should be performed at high intensity and max effort. Don’t hold back on the 250m Row. 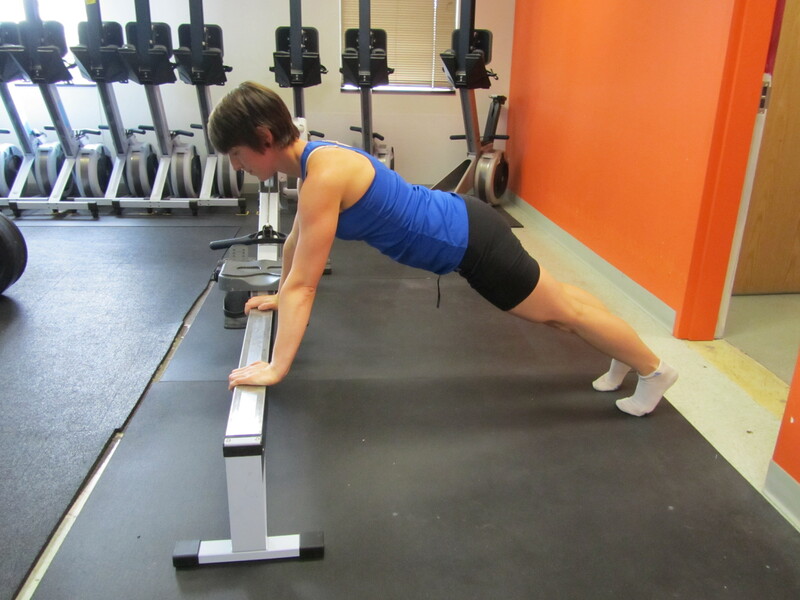 Push Ups are one of my goats and if you’re an experienced rower they may be one of your goats as well. Focus on connecting your hands to the floor and spreading it apart with your shoulders away from your ears. Keep the push ups fast and don’t go to failure unless you’re at the end of the 5 minutes. It takes twice as long to recover when you get stuck half way up and fail. Know how many you can perform, game it up, and get after it! Post your score (Rounds + Reps) for each AMRAP as well as your fastest and slowest split overall. This entry was posted in Fitness, Rowing, Strength and tagged endurance sports, exercise, functional movements, new sport, rowing, sports, training by Renegade Rowing. Bookmark the permalink.